The qTOWER, a newcomer on the real-time market, sets new standards for speed. 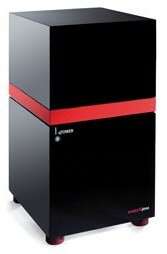 Based on the established rapidPCR, the qTOWER is up to 10 times faster than commonly available systems, achieving heating rates of 12 °C/sec and cooling rates of 8 °C/sec. Completely quantitative PCR runs can be performed in less than 25 min. The significant reduction of reaction volumes (down to 5 µL) is yet another highlight, as is the exceptional savings (up to 75 %) of expensive real-time reagents. There are no threads in Analytik Jena qTOWER Reviews at this time.